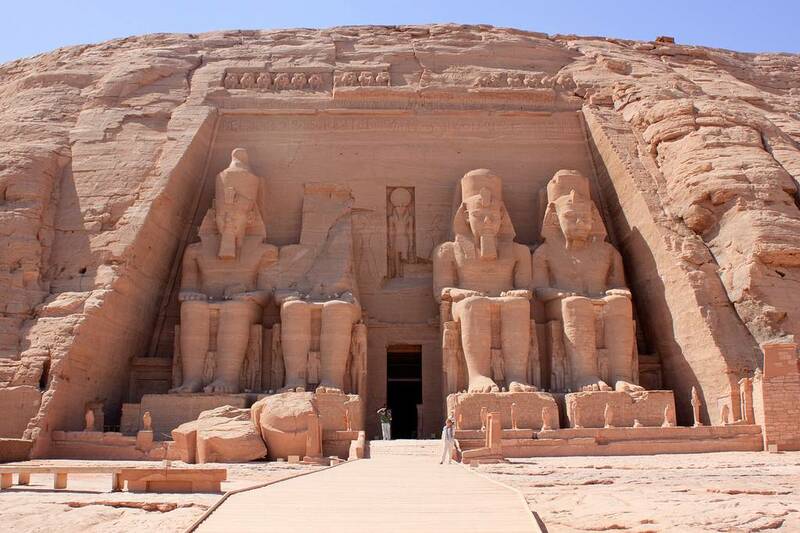 Staying in Cairo needn’t mean missing out on the drama and beauty of Abu Simbel. On this private guided tour, fly from Cairo to Aswan, explore the Temple of Philae, then travel to Abu Simbel and tour the temple complex there. Your Cairo representative will accompany you to and from Cairo airport, while your Aswan guide looks after the southern end of things. Then at 10:30 am transfer to the south of Aswan which is around 3hrs drive to enjoy Abu Simbel day tour from Aswan by a PRIVATE air-conditioned vehicle.The two Temples of Abu Simbel, with their unique style, are considered to be the masterpieces of ancient Egypt. The great Abu Simbel temple is known as The Sun Temple of Ramses II.The Temple of Queen Nefertari is also Called Temple of Hathor who was the wife of the Sun God so in a symbolic way, the two Temples, that of Ramses II and that of Nefertari, bring Ramesses II, Nefertari, Hathor and the Sun God together as one. then around 16:00 pm Return back to Aswan Arrival Aswan around 18:30 transfer to Aswan airport to take your Flight Back to Cairo.